Nic Dakin (Scunthorpe) (Lab): Will the Secretary of State clarify whether a family can be considered “turned around” if they are still committing crimes or engaging in antisocial behaviour? Mr Pickles: The short answer is no. We went about it in a very straightforward way and so have some very straightforward criteria. Basically, the kids must be in school, and for three terms, which is why there is a bit of a lag, and somebody must be on the road to work, in the same way that they will be within a programme, and the incidence of antisocial behaviour on the estate must have been reduced measurably (my emphases). But this isn’t true. A family is considered ‘turned round’ if it meets certain educational and anti-social behaviour criteria or someone has got a job. The ‘on the road to work’ criteria that Mr Pickles mentions is a criteria that had been met by 2025 families as of October 2013. In fact, 1430 families have been classed as having been ‘turned round’ without any indication of, or indeed interest in, what their levels of anti-social behaviour or educational attendance are. The 22,000 families that have been ‘turned round’ according to Mr Pickles are a cumulative total of those families that have achieved either crime/ASB & education outcomes or those that have achieved employment outcomes NOT those that have achieved both. Mr Pickles also stated that he did not think there was a ‘scintilla of truth’ in a statement which suggested that families were being classed as ‘turned around’ even if there was a reduction rather than a cessation of truanting or anti-social behaviour. However, as Annex C on pages 18-20 of the TFP Financial Framework clearly shows, local authorities can claim funding from the government for ‘turning round’ a family if there is a 60% reduction in ASB and fewer than 3 fixed term exclusions and less than 15% unauthorised absences from school. This, to me, amounts to a reduction rather than a cessation…. So when Mr Pickles said ‘the short answer is no’, one can only surmise that he really meant ‘yes’, unless he is completely unfamiliar with the programme for which he is responsible and on which he speaks regularly. If he didn’t, it’s hard to find ‘a scintilla of truth’ in what he said…. ignores both sampling error (the probable discrepancy between even a randomly generated sample and the population from which it is drawn) and sample bias (the departure from randomness of the effective sample, principally caused by differential response rates across the population). More recently the government have refused to disclose how they have come up with the number of 400,000 ‘high-risk families’ which will see the TFP extended beyond the life of this parliament. I need to point out that some of these figures are nearly a year old and so they may have changed as families circumstance have changed but the figures do reflect low numbers of families meeting all 3 central criteria when compared to the indicative numbers of ‘troubled families’ given to each local authority. Late last year, the Communities and Local Government Select Committee published a report into Community Budgets which included discussion of ‘troubled families’. The report noted that ‘We found that the fourth local criterion was important ad without it the definition was too narrow to allow local authorities to work with families that were in need of help’ (p31). In practice, local authorities are allowed to use whatever local criteria they like as long as it reflects families that are a high cost to the public purse. They are also allowed to use as many criteria as they like (some LAs are using six or seven different local criteria) and an ability to ‘refresh’ the criteria exists. In evidence given to the Committee, one LA Troubled Families Co-ordinator stated that ‘It has been really liberating to have locally developed criteria … It has given us the freedom to make sure that local families we want to be part of the programme are part of the programme.’ So, a ‘troubled family’ is basically whatever a local authority wants it to be* and as long as the net is cast sufficiently wide to enable them to turn around their indicative number of families by May 2015. The similarities with the ‘problem families’ of the 1950s is striking. John Macnicol, writing about those ‘problem families’ highlights that during attempts to count the number of families ‘the scope for arbitrary judgement was enormous’ (1999 p85) and that there was a ‘great danger that, in practice, judgements would be made according to middle class social norms and expectations’ (p87). He goes on to highlight that C. P. Blacker, a key supporter of the ‘problem families’ thesis was forced to acknowledge that ‘the number of problem families deemed to exist in any community will depend on where the line is drawn’ (p85). It would appear then, that the government has so much political capital invested in the figure of 120,000 that it won’t budge from it and, even as local analysis suggests that the figure may be much lower according to the government’s own criteria, the government are actively encouraging local authorities to work with more than 120,000 families and to define what a ‘troubled family’ is any way they like, as long as the total number ‘turned round’ adds up to or exceeds an arbitrary figure extracted from an out of date survey used for entirely different purposes. This beggars belief and makes a mockery of the Prime Minister’s commitment to turn round the lives of the ‘120,000 most troubled families’. 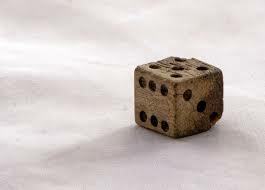 In writing this blog, I looked for the origin of ‘the number game’ and found, via Wikipedia, that the ‘numbers game’ is also known as the ‘policy racket’ and the game involves ‘policy shops’ and policy banks’ – which all seems quite fitting…. * On Saturday 18 January, someone from the Troubled Families Team tweeted me and told me that the statement above – ‘a ‘troubled family’ is basically whatever a local authority wants it to be’ was ‘not actually true’ and ‘plain wrong’ because ‘troubled families’ still have to meet 2 out of 3 national criteria. I agree, I should have been clearer with my writing and so I am happy to clarify this here. We expect that colleagues in local authorities and schools will adopt a common sense approach. Based on evidence of worrying levels of non-attendance, head teachers and Troubled Families Coordinators should apply their professional discretion to identify children whose patterns of attendance are of equivalent concern to those set out in the existing criterion (my emphases). I couldn’t find any clarification on what counted as ‘evidence’ or what a ‘worrying’ level of attendance is or what level of ‘concern’ would be ‘equivalent’ so there is a fair amount of room for professional ‘discretion’ and ‘common sense’. The main concern of the government appears to be that whatever evidence or measures are used, they satisfy ‘internal auditors’ – again this amounts to a check at a local level. So, apologies for the confusion in the original posting. What I could have said, more accurately, is that a ‘troubled family’ is, within reason, basically whatever a local authority and their partners (including police, schools, landlords etc) want it to be’. Glad to have the opportunity to clear this up. In relation to the third ‘national’ criteria which covers households that also have ‘an adult on Department for Work and Pensions out of work benefits, the last official statistics release from November 2013 show that there were 5.5 million working age benefit recipients in May 2013.